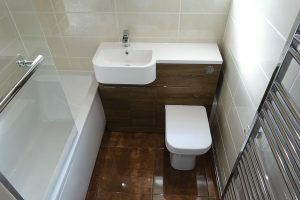 This is a bathroom that had been fitted as a shower room, the clients requested that it we refit it back to a bathroom with Tavistock Match basin and toilet vanity storage unit. 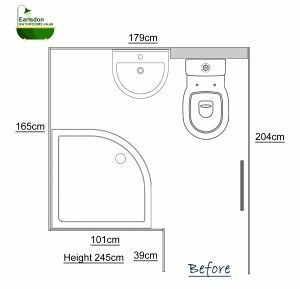 Below is the original layout of the bathroom as fitted as a shower room. 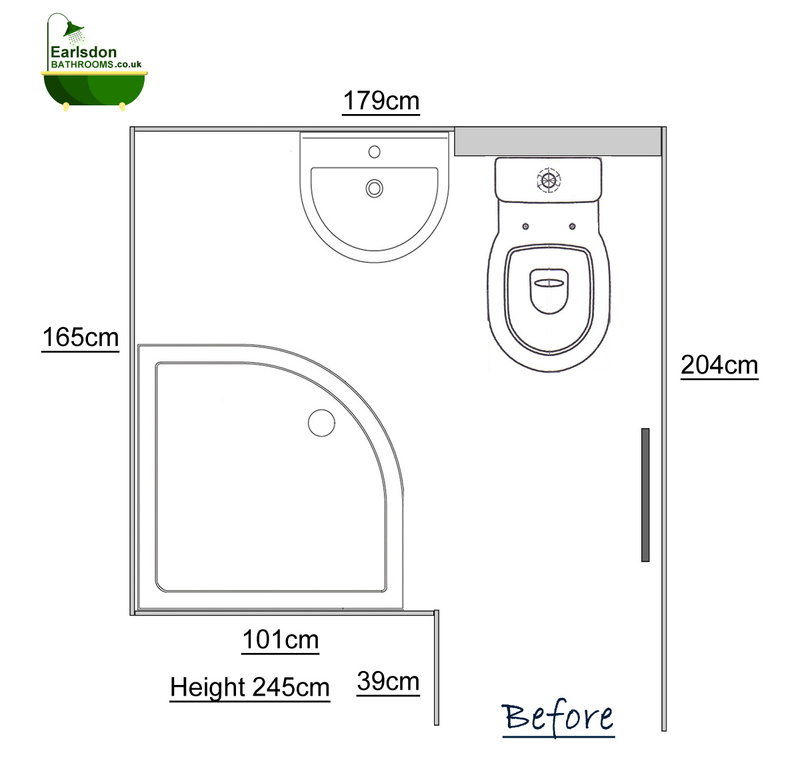 The image below shows the new bathroom layout. 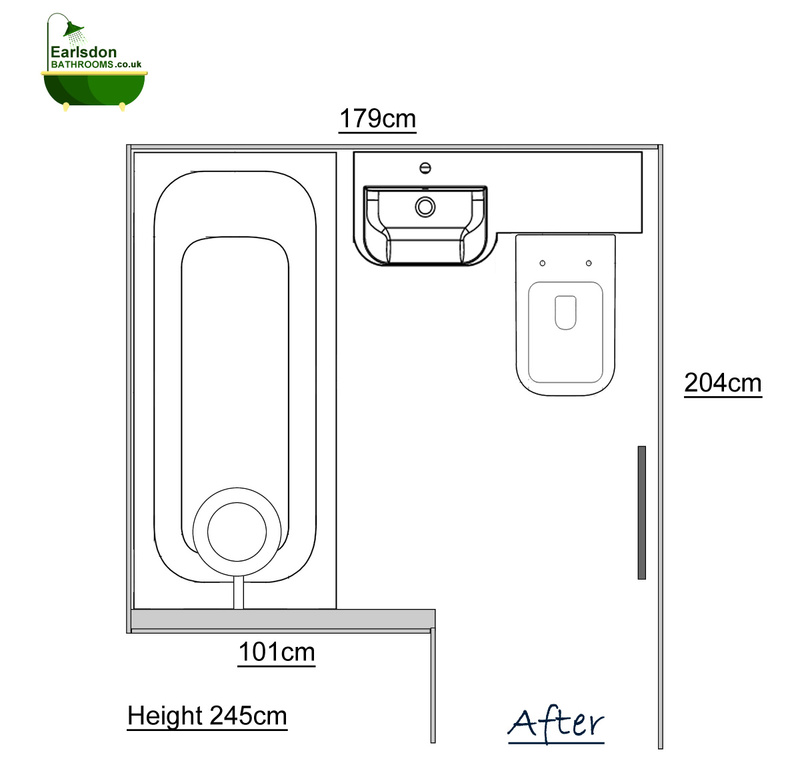 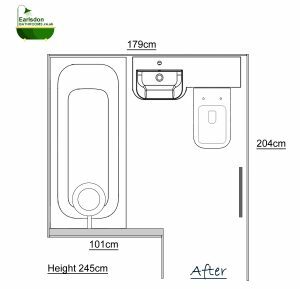 The bath fitted is a 1600mm by 700mm straight bath. 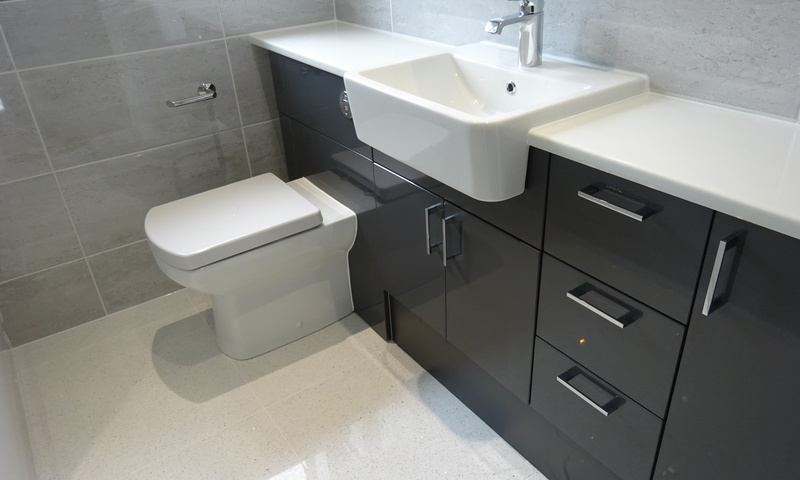 The storage unit drawn in the bathroom design is the Tavistock Match basin and toilet vanity unit. 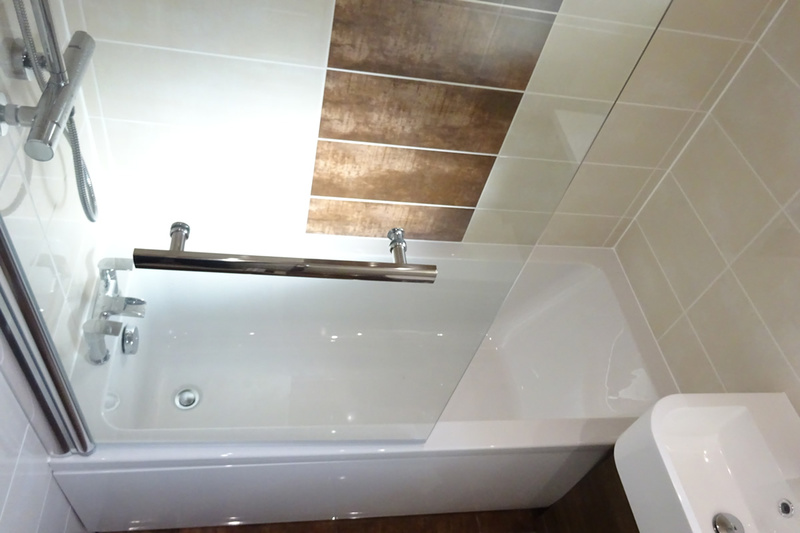 When we carry out a bathroom refit in an older property, if while removing the existing tiles from the wall that the plaster falls away, or the plaster is old and not correctly adhered to the wall, we remove all the plaster from the walls revealing the brick. 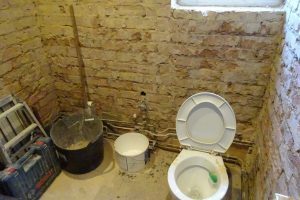 This is known as going back to brick. 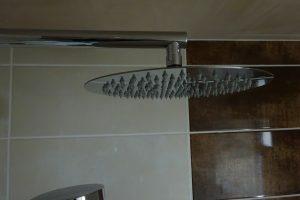 We also remove and replace as much of the cold and hot water feeds within the room and any waste pipes where possible. 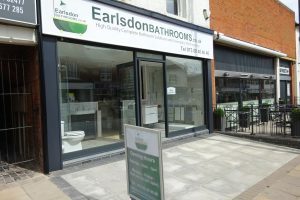 The image below shows that with this bathroom we have gone back to brick. 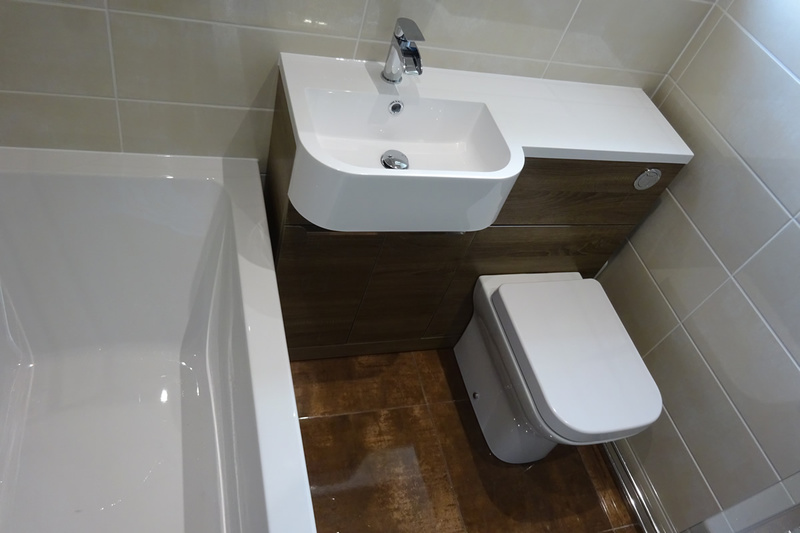 The basin and toilet are the Tavistock Match Vanity basin and toilet pan. The vanity unit colour is Havana oak and is a great combination to the bronze floor tiles and cream walls tiles. 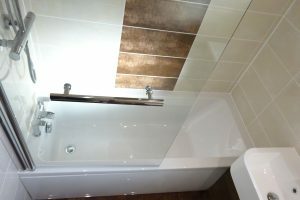 The bath is a straight bath with a glass shower screen. There is a space between the vanity unit and the right hand wall. 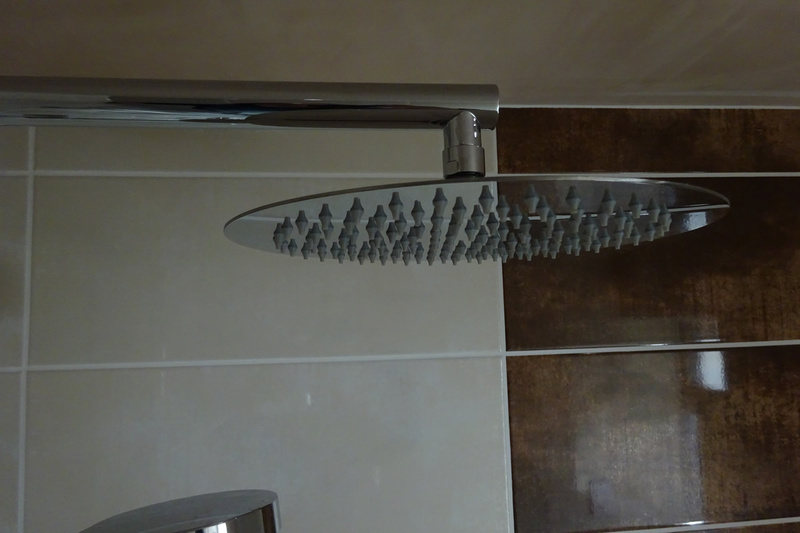 This is to ensure there is a correct amount of leg space while sitting on the toilet. 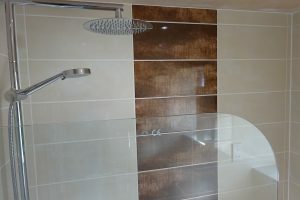 The wall tiles are Johnson Zeppelin wall tiles in cream and Bronze. 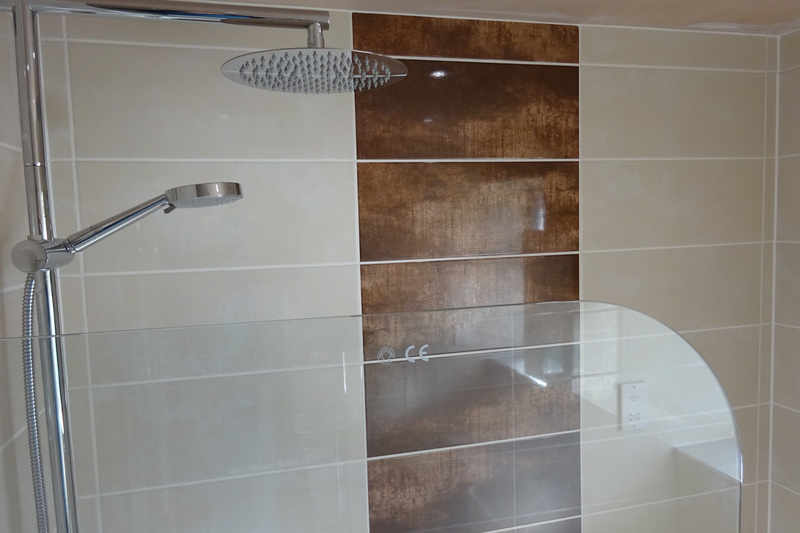 The bronze tile has been used to create a tiled feature panel in the center of the bath running to the ceiling. 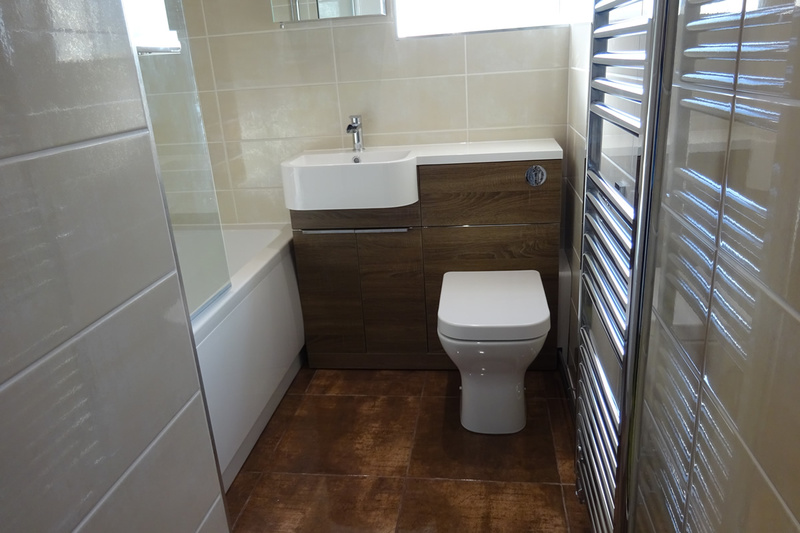 The floor tile is the Johnson Zeppelin Bronze floor tile and is a great colour match for the vanity basin and toilet unit.